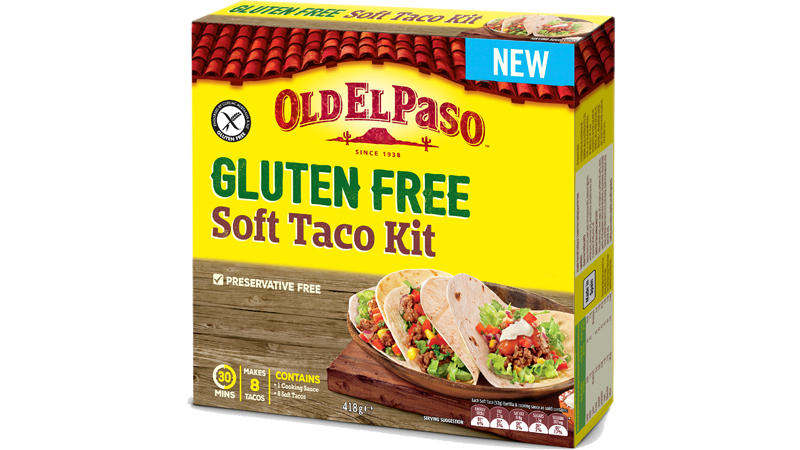 Old El Paso™ is available in Gluten Free. Each Soft Taco Kit contains a cooking sauce and 8 Soft Tortillas which are gluten and preservative free. Everyone can enjoy the delicious taste of Old El Paso™ Tacos.